No, seriously. I love oatmeal. I love the flavour and the texture. I love how it contains loads of soluble fiber to keep my cholesterol levels in check and my bowel movements regular. People are so comfortable with talking about their regularity nowadays. I'm going to jump on that bandwagon. I'm totally regular. I also love anything that contains oats. Notably...muesli. Ohhh...muesli. When I lived in Europe I ate enough muesli to drown and elephant. Europe makes the best muesli. I love when it's loaded with skim milk powder....because then I don't even need milk. I just spoon it into my mouth and let it dissolve....I hope that's not weird to you. It's good! Don't judge. Jonathan used to tell me that one day I'll turn into a muesli. That doesn't even make any sense, but it's probably true. I used to eat oatmeal for breakfast every single morning. That was before I enrolled myself in the "Cookies for Breakfast" club, which I'm pretty much the only member of. Man. This post is my attempt to quit the "CFB" club and join the newly invented "Oatmeal for Breakfast" club. There will still be plenty of cookies around me every morning, but I will have to hide them. I'll bury them in the herb garden and dig them up after dinner. Or, maybe I'll drop them off at my neighbours to cookie-sit for the day. Maybe this is getting a little out of control. Maybe I should just stop making cookies. Ha! Ya. Right. Making perfect oatmeal is not hard. First, start off with whole, rolled oats. You're more likely to benefit from all of its nutrient potential that way. 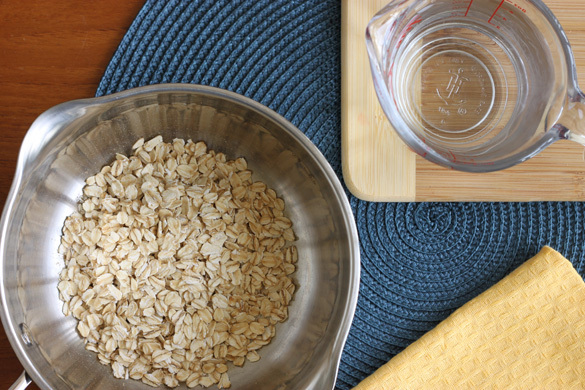 Combine 1 part oats with 2 parts water and a pinch of salt in a small saucepot. Bring it to the boil and cook about 5 minutes on medium heat, stirring frequently, until oats are tender but not mushy. Lastly, stir in some whole milk, cover and let stand about 5 minutes. This will let the oats absorb the milk and become creamy. The silky, creamy texture of oatmeal is due to the high amount of soluble fibers, particularly beta-glucan, which binds water and thickens the mixture. Lovely. These beta-glucans have powerful cholesterol-lowering abilities because they bind bile acids in our stomach and carry them through our large intestine where they will eventually get excreted....you know what I mean. Since bile is made from cholesterol, our bodies begin to break down cholesterol to build more bile when our bile stores are being depleted. Makes total sense right!? 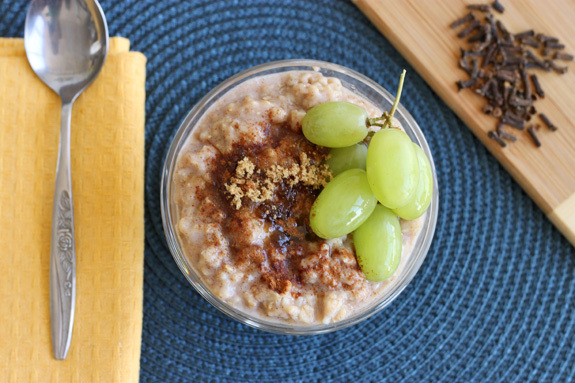 This Chai-Spiced Oatmeal is incredible. It will infuse your home with gorgeous aromas of cinnamon, clove and cardamom. You will love it, and I bet you wont even miss the cookies! In a small saucepot over medium heat, combine oats, water, salt, cloves, fennel, cinnamon, cardamom and ginger. Bring to a boil and cook, stirring frequently, until oats are tender but not mushy. This will take about 5-10 minutes. 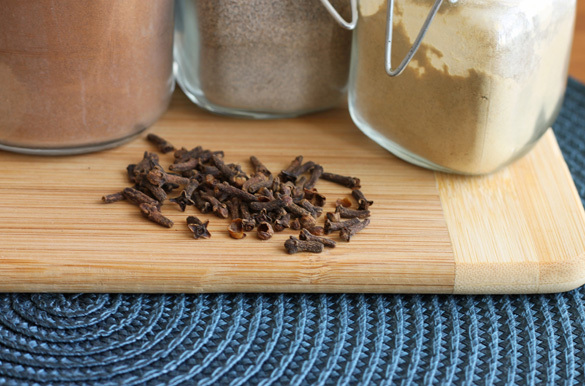 Remove from heat and discard cloves. Pour milk over the oatmeal, cover the pot and set it aside for about 3-5 minutes. Stir in brown sugar, add an extra sprinkling of cinnamon and serve with fresh green grapes! Looks delicious enough to tempt me! I love chai and chai oatmeal sounds wonderful! I've got to try this- Thanks! I love oatmeal and muesli! I used to eat oatmeal every single day, but then I started eating bacon every day...Not good... Then I gave up bacon and I still don't know how I feel about it... Oh, and its totally cool to talk about being regular. @Angela @ Mind Over Batter Amen! Wow this looks amazing! I hear you on oatmeal... I love it too, love the texture, love it hot or cold. I am definitely trying this. Beautiful photos too! 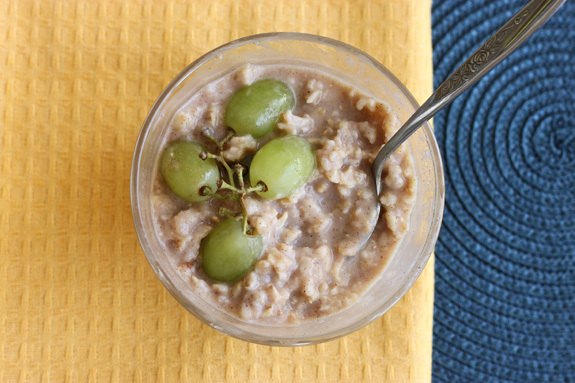 I love how you wrote about bile in between photos of creamy, brown oatmeal, and I still didn't gross out LOL! Great information and great recipe. Thank you. BUZZED! I LOVE LOVE LOVE oatmeal too! I've made chai oatmeal, earl grey oatmeal, thai tea oatmeal, chocolate coconut! You name it! Your chai oatmeal is RIGHT up my alley! LOVE IT!!!! Buzzed and saved, I adore chai, and oatmeal!!! Delicious! This is the perfect breakfast: healthy, tasty and easy to make. As a scientific, you probably know that oatmeal can be contaminated with gluten from other cereals. In Canada, we are lucky to have two companies who produce PURE oatmeal that is certified gluten free. They are CHÂTEAU CREAM HILL and PURE OATMEAL. Both have been approved by SANTÉ CANADA as being appropriate for a gluten free diet. So please, when posting recipes with oatmeal, be certain to advise people with gluten intolerance to be vigilant and to buy the right product. I love your chai oatmeal recipe and I will probably make it for my husband soon. I didnt have fennel but it still turned out delicious :) i shouldve doubled the recipe!